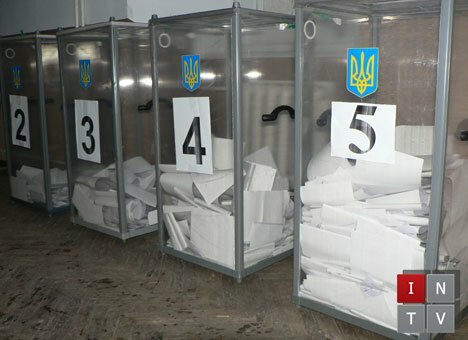 After tense weeks of waiting and uncertainty, Ukraine has managed to elect a new president in the first round of voting. The convincing victory of Petro Poroshenko symbolizes the consolidated will of a people united and determined to be itself, to exercise its right to self-determination both in its choice of a transparent democratic system of government and in its alignment with the Euro-Atlantic community and its values. But the celebrations are tempered by the realization of the huge challenges facing the president and the country he is to lead, and the news even as his victory is being affirmed that battles with the so-called separatists in the east—that is, the military and paramilitary forces sent by the Putin regime to destabilize Ukraine and sever more territory from it, and their local supporters—are intensifying. The mortal threat to Ukraine posed by a hostile Russian administration remains, but at least the country should now be better equipped to deal with it. To better appreciate where things now stand, it is worthwhile to review some of the salient features of the election process and the broader context. During the last six months, Ukrainians have overthrown a regime that ruled by means of banditry and was anti-Ukrainian in substance, if not in form. Russia has responded by seizing Crimea and waging an undeclared war against Ukraine. The presidential election in Ukraine was a major milestone in this revolutionary and geopolitical upheaval, as well as in the confrontation with a Russia that does not want to recognize Ukraine as a sovereign state—one that refuses to be bound by the models and ideological prescriptions that the Kremlin seeks to impose. A fair and transparent presidential election, together with new parliamentary elections and fine-tuning of the constitution, was a critical element in ensuring the transition from the discredited Yanukovych regime and all it represented to a new modern, democratic, and European Ukraine, uniting its population around these values, and withstanding the aggression and subversion from the Putin regime. It formed part of the gateway to a new future and a new space for political reconfiguration, social consolidation, economic revival, and realignment with the Euro-Atlantic community. Despite the importance of the presidential election, the actual campaign was in fact a relatively low-key process. It did not generate the debates, interest, and passions normally expected at such key moments of choice about who will lead a country, in what way, and in which direction. Indeed, the main surprise was probably that the contest did not produce any genuinely new potential leaders reflecting the real spirit and hopes of the Maidan. Ukraine was of course traumatized by the events of the Maidan, the popular revolution that burst out after Yanukovych’s heavy-handed response, and the cost of the eventual victory in terms of human lives and suffering. The country was stunned by the shock of Putin’s stab in the back at the moment of the Maidan’s triumph, his seizure of Crimea, and his launch of a campaign of hatred, brutality, and scarcely concealed armed intervention in eastern Ukraine. Understandably, therefore, the main preoccupation was with the mounting terror and threats that Ukraine has had to endure from Russian-backed forces in the southeast attempting to undermine the presidential election and repeat the Crimean annexation scenario in the Donetsk and Luhansk regions. Thus attention was focused more on the progress of the Anti-Terrorist Operation launched in the east by the Kyiv authorities, the new role of some of the discredited oligarchs as allies in the struggle against the “separatists,” and the attitudes of the inhabitants of the southeastern regions themselves. But the muted attitude toward the presidential election also reflected the fact that Petro Poroshenko and Yulia Tymoshenko are established figures associated not so much with a fresh vision for the country as with the political and business intrigues and maneuvering characteristic of the shady past. 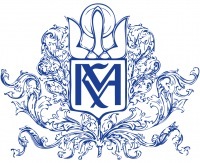 This public distrust was reinforced by the realization that the break with the old ways would not be as complete as had been hoped, as indicated by the reliance of the new authorities in Kyiv on some of the oligarchs who were hallmarks of the discredited Yanukovych period—Rinat Akhmetov, Igor Kolomoisky, and Serhii Taruta—to stem separatism and fragmentation in the east. But there was definitely a silver lining to this cloud. Despite the questions about their past, both Poroshenko and Tymoshenko upheld the cause of an independent, united, democratic, and Western-oriented Ukraine and appeared determined to stand up to Putin. Poroshenko turned down repeated calls from Tymoshenko that he face her directly in public debate, and so the nuances in their respective positions that might have clarified political distinctions between them were not exposed. The only major difference to emerge in the final stages was Tymoshenko’s assertion that Ukraine’s association with the European Union would not be practicable without membership in NATO, and that a referendum on the issue was therefore urgently required, while Poroshenko considered that such a poll would be too divisive at this stage. With both candidates relying on broad declaratory statements in their campaigns and not going into detail, it appears that the two veterans differed more in temperament and style than in substance. Tymoshenko is the Pasionaria of Ukrainian politics, forceful, charismatic, and intimidating, while Poroshenko, a self-made tycoon, has projected the image of a level-headed, moderate, and pragmatic figure who has not been tainted with charges of corruption. While imprisoned, Tymoshenko had been a symbol of the lawlessness and vindictiveness of the Yanukovych regime, and hers had been a powerful voice of opposition. But when she was eventually freed after Yanukovych’s ouster, she seems to have miscalculated the new mood and failed to realize that she was not viewed as the awaited messiah. A smear campaign mounted by her opponents helped diminish her ratings in the polls by repeatedly portraying her as an agent of Putin. Poroshenko moved to center stage in the run-up to the elections more by default than by any active campaigning. The vacillation and inept leadership of the opposition troika during the days of the Maidan—Vitalii Klychko, Arsenii Yatseniuk, and Oleh Tiahnybok, all of them presidential hopefuls at the time—undermined their authority and support for the political parties they represented: UDAR, Batkivshchyna (Tymoshenko’s party, in which Oleksandr Turchynov was her right-hand man), and Svoboda, respectively. Poroshenko, on the other hand, was able to portray himself as an unaffiliated political maverick, an experienced politician, and the only oligarch unafraid to oppose Yanukovych, as well as courageous enough to stand up against extremism on the streets. When the Maidan protests began, and Tymoshenko was still imprisoned, Klychko was the opposition’s strongest candidate to defeat Yanukovych in a presidential election. By the time the ensuing revolution swept away the Yanukovych regime, Klychko’s ratings had plummeted, and Poroshenko, the dark horse, quickly replaced him as the new favourite. He was not included in the new temporary government created on the basis of the troika’s party quotas, in which Tymoshenko’s Batkivshyna Party acquired the key roles of acting president (Oleksandr Turchynov) and prime minister (Yatseniuk). Poroshenko was thus able to distance himself from questions that inevitably arose about the new authorities’ response to the crisis in which Ukraine found itself. While Tymoshenko was not allowed to forget her dubious past, Poroshenko had an easier time of it, and his former connections with the odious Viktor Medvedchuk and the Party of Regions were not played up. However, the possibility that he, too, is more complex and devious than appearances suggest was suddenly exposed when it emerged that on the eve of Klychko´s decision to abandon the presidential race in favor of Poroshenko, the two of them had had a secret meeting in Vienna with the sinister oligarch Dmytro Firtash. The latter was under house arrest at the time, awaiting a decision about his extradition to the USA. Why Poroshenko and Klychko met with Firtash at this crucial moment, if not to obtain his political and financial support, has not been explained. Poroshenko soon appeared unbeatable, and the only question that remained was whether he would be able to secure victory in the first round, making a second one unnecessary. To his credit, from the outset he appealed to his main rival, Tymoshenko, not to oppose him and join forces with him in building a new Ukraine. She, however, rejected his overtures and failed to heed calls that, for the good of the country at such a delicate moment in its history, she stand down in order to limit the election to one round. Tymoshenko thus displayed a lack of statesmanship similar to that of Viktor Yushchenko in the presidential election of 2010: knowing that he would be soundly beaten, he had discouraged his supporters from backing Tymoshenko against Yanukovych. Victory in the presidential election gives Poroshenko the chance to become a national leader of the stature that, after the Orange Revolution, it had been hoped Yushchenko would become. If he rises to the occasion and provides the wise, principled, and strong leadership that the country needs, he has every chance of securing a respected place in history. If he fails and repeats the mistakes Yushchenko made, it will spell not only failure and disgrace for him but a disaster for the country that has entrusted him with its hopes. And, as after the Orange Revolution, Tymoshenko’s role as either a constructive political opponent or a spoiler will also have some impact, though it is unlikely to be as strong as before. After all, the presidential election marks only first, if vital, stage in the reconfiguration of Ukrainian politics that will be accelerated by new parliamentary elections. For the sake of political renewal and credibility, these will need to be held sooner, rather than later. So far, Poroshenko has indicated that he will support holding them before the end of the year, but not before the Anti-Terrorist Operation is concluded, which could mean a long delay. In the meantime, Poroshenko will need to create his own political base. He will probably rely at first on his alliance with Klychko, who seems headed for election as mayor of Kyiv, and his UDAR Party, but that will not suffice to guarantee a majority in parliament. Tymoshenko is also unlikely to be in a hurry for parliamentary elections. Her Batkivshyna Party has been disintegrating as personal support for her declines, and its future shape and influence remain uncertain. The other former major political force, the Party of Regions, has split and is in disarray. Its much enfeebled rump will face serious competition from Serhii Tihipko and others who have left its ranks, and also possibly from new parties that might be created by the oligarchs Kolomoisky and Akhmetov to appeal to voters in the east and south. As for the Regions’ former ally, the Communist Party, its campaign strategy and electoral results have proved disastrous. Now that the party has repeatedly manifested its role as a disloyal fifth column of Moscow, its very legal existence is in doubt. Significantly also, the Right in Ukraine, despite Moscow´s attempts to portray it as the driving force in contemporary Ukrainian politics, has in fact been either mainstreamed or marginalized. The Svoboda Party has lost a lot of ground, and its thunder has been stolen by the Right Sector. The very poor showing of Svoboda’s leader, Tiahnybok, and of the Right Sector’s chief, Dmytro Yarosh, in the presidential election leaves no doubt about the limited support that they actually enjoy. The exception is Oleh Liashko, the maverick leader of the fringe Radical Party. His very active unconventional patriotic campaigning and self-promotion unexpectedly paid off, winning him a respectable third place in the presidential elections. Liashko has emerged as the new contender for leadership of Ukraine’s radical right, but it remains to be seen whether he can capitalize on his electoral success by creating a more broadly based party. Will the presidential election mark a major turning point in the country’s history? Certainly, conditions are more auspicious now that Poroshenko has been given such a strong mandate to keep Ukraine moving in the right direction. The initial decisions that the new president makes on government appointments and constitutional reform, as well as his approach to Russian aggression in the east, and the tone and style he adopts will all have a decisive bearing on the country’s social climate and continuing political reconfiguration at home and in the external arena. For Ukraine and its allies, the successful outcome of the presidential election brings relief that a major hurdle and test have been passed.